For the longest time I couldn't do a freehand french manicure with the deep curve that I prefer. It always seemed to come out straight across, some edges wider than others, or too curved with a slight V in the middle. When I started wearing my nails in the oval shape it helped me make the exact type of french tip that I prefer which I think looks much more natural. 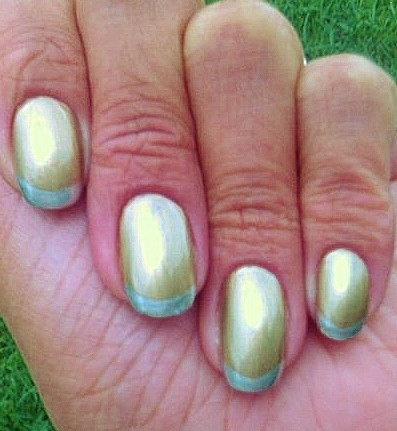 I call this Metal-bling French because of the silver and gold parring. Thoughts? Feelings? Concerns?